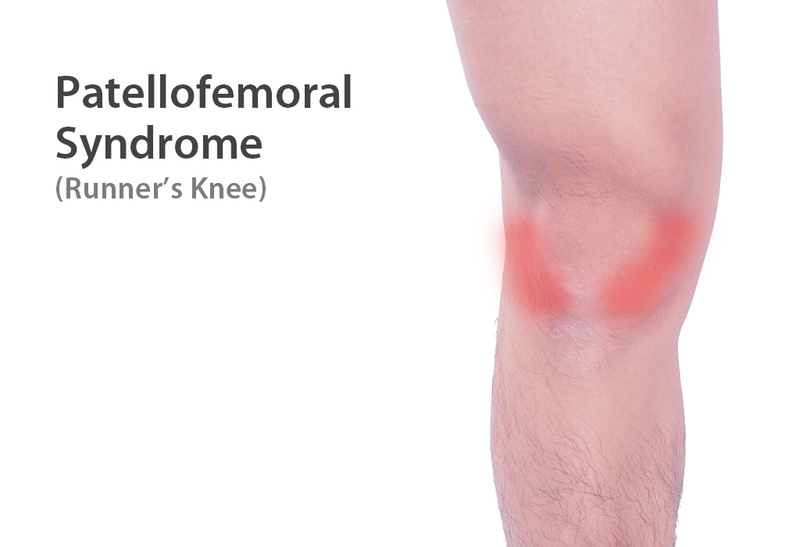 Patellofemoral Syndrome usaully refers to the degenerative change of the catilage between the knee cap and the thigh bone. Climbing up or downstairs may exaggerate the pain around the knee cap. 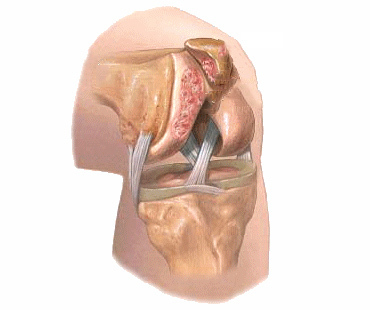 The Knee is a big hinge joint (though it is not a simple hinge joint). The knee cap slides on the groove of the thigh bone when the knee bends beyond 15 degrees. As the strong quadriceps muscles are attach on the knee cap and becomes the patellar tendon that coneects to the shank bone, pressure up to 3-5 times of the body weight is exerted on the square inch contact surface behind the knee cap. The knee cap sometimes will slide on the groove in a wrong track. One of the quadricep muscles (Rectus Femoris) runs from our pelvic in an oblique way. 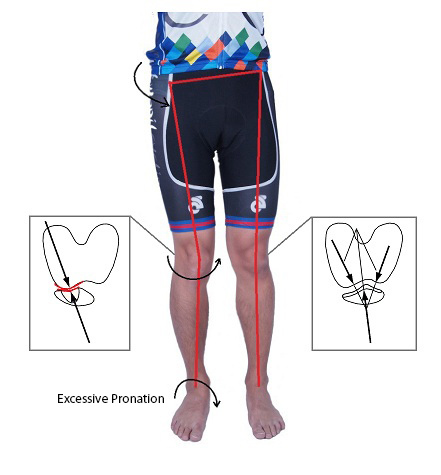 If the pelvic is too wide, or there is knocked knee (Genu Valgum), the angle of pulling the knee cap is more on the outward direction (that is called Q-angle). It leads to a tracking problem of the knee cap and the pressure in the joint is no longer evenly distributed, thus causing early degeneration of the cartilage. 1) Female has wider pelvic so that the Q-angle is larger. 2) Female has weaker core muscles and more internal rotation of the leg and thigh. Rest or avoid activities require bending of the knee. Strengthening of the Vastus Medialis Oblique (VMO) that helps to stablize the knee cap on track. Foot biomechanics plays an important role on patellofemoral syndrome. As the foot pronation causes collapse of the arch, it leads to excessive internal rotation of the thigh bone and more outward displacement of the knee cap. Knee alignment is also evaluated as knock-knee may place excessive pressure on the inner side of the foot, causing excessive collapse of the arch in weight-bearing condition. Stretching of the quadricep muscles in daily basis. 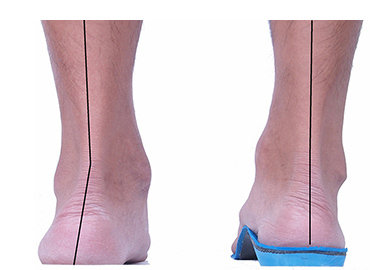 Biomechanics Inosles helps to reduce excessive foot pronation (arch collapse) and thus prevent the thigh bone from the internal rotation, holding the knee cap in a more proper tracking in the groove of it.